On Sunday the 11th October, Elena from the Policy Team walked in the 2015 Wellness Walk across the Sydney Harbour Bridge. The third annual 5km walk is a family friendly event suitable for all ages and abilities. 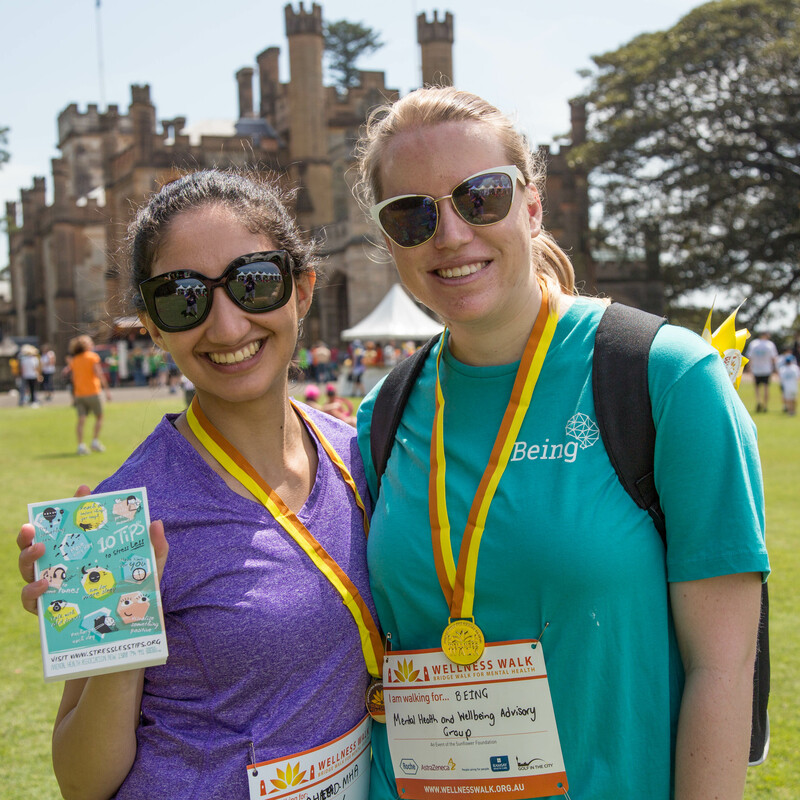 The walk started and finished at Government House and was attended by the NSW Governor, the Honourable David Hurley as a Wellness Walk Patron and his wife Mrs Linda Hurley. This year, over 1000 people walked to raise awareness about mental illness and raise money for the Sunflower Foundation. The Sunflower Foundation provides essential programs and services for people living with mental illness. The sunflower is a symbol of hope and the foundations mission is to bring mental illness ‘‘out of the darkness, into the light’. For the first time this year a Wellness Festival was held after the walk. The festival had live music, yoga and zumba, dancing with Australian Idol star and Wellness Walk Ambassador Paulini, and stalls with information about wellbeing. The WayAhead (Mental Health Association NSW) Bike n’ Blend healthy smoothie stall was a hit on such a hot day! More information about the Wellness Walk and the Sunflower Foundation can be found here.